Hardcover • ISBN-13: 9781608468935 • US $24.95 • 8.5 in x 5.5 in • 220 pgs. 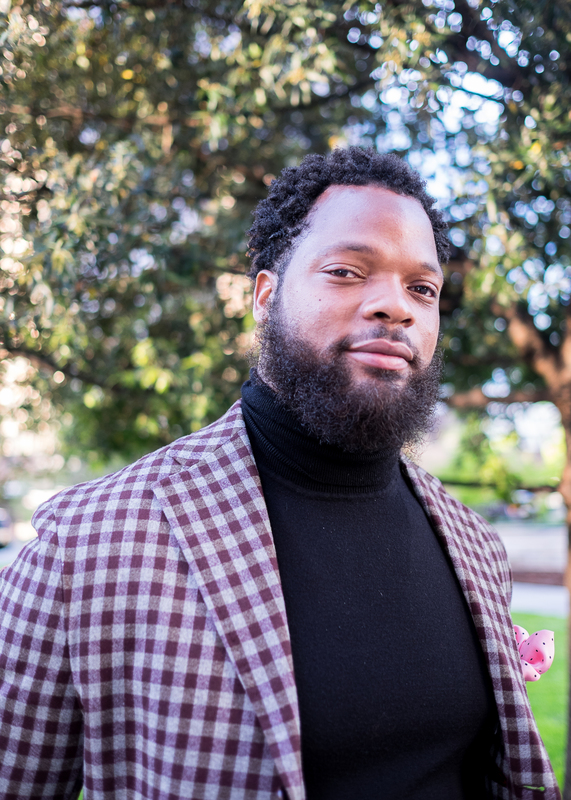 Michael Bennett is a Super Bowl Champion, a three-time Pro Bowl defensive end, a fearless activist, a feminist, a grassroots philanthropist, an organizer, and a change maker. He’s also one of the most scathingly humorous athletes on the planet—and he wants to make you uncomfortable. Written with award-winning sportswriter and author Dave Zirin, Things That Make White People Uncomfortable is a sports book for our times, a memoir and manifesto as hilarious as it is revealing. Bennett, a defensive end for the Seattle Seahawks, has gained international recognition for his public support for the Black Lives Matter Movement, women’s rights, and other social justice causes. Bennett donates all his endorsement money and half of the proceeds from his jersey sales to fund health and education projects for poor underserved youth and minority communities, and recently expanded his reach globally to support STEM programming in Africa. Co-author Dave Zirin has been called the “finest, most important writer on sports and politics in America” by Dr. Cornel West. He is sports editor for The Nation and author of several books, including the critically acclaimed The John Carlos Story, written with 1968 Olympian John Carlos. “Things That Make White People Uncomfortable is a real and unblinkingly raw memoir that is going to make a lot of White people, and people of color too, very uncomfortable. And that is precisely the point. 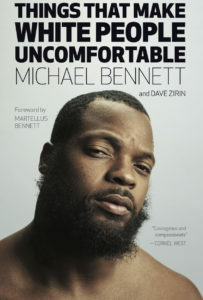 Because Michael Bennett is one of the most outspoken and dynamic athletes in America today, and his co-writer, Dave Zirin, is very clearly our nation’s most fearless sports journalist. Together they are Muhammad Ali and Howard Cosell bringing the noise about race, sports, and the wonderfully diverse life that is Michael Bennett’s journey as a Black man who refuses to be stereotyped. At a time when the protests of sport heroes like Bennett and Colin Kaepernick have once more revealed the huge racial divides that have always been present, what makes this book different, and unique, is that Bennett remixes the past into an unavoidable and necessary dialogue for this 21st century, on his own terms. Indeed, Michael Bennett’s voice echoes that of Jack Johnson, Paul Robeson, Ali. And his voice is that of Malcolm X and Martin Luther King, too. Because Michael Bennett is clear, mad clear, that he is a leader and a change agent, too. Michael Bennett is a three-time Pro Bowler, Pro Bowl MVP, Super Bowl Champion, and two-time NFC Champion. He has gained international recognition for his public support for the Black Lives Matter Movement, women’s rights, and other social justice causes. In 2017, he was named one of the 100 Most Influential African Americans by The Root, was the Seattle Seahawks nominee for the NFL’s Walter Payton Man of the Year award, and was honored along with his brother Martellus with a BET Shine a Light award for exceptional service. He is the cofounder with Pele Bennett of The Bennett Foundation, which educates underserved children and communities through free, accessible programming. He has held free camps and health clinics in Seattle, in his hometown of Houston, in his current offseason home, Honolulu, and in South Dakota on the Lower Brule Sioux Tribe. He donates all of his endorsement money and the proceeds from his jersey sales to fund health and education projects for poor and underserved youth and minority communities, and recently expanded his reach globally to support STEM programming in Africa. He is the proud father of three daughters, Peyton, Blake, and Ollie. 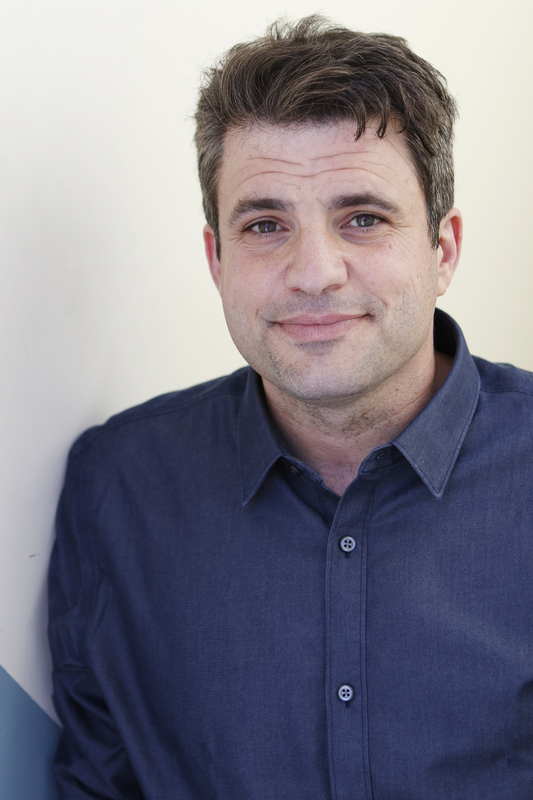 Named one of the “50 Visionaries Who Are Changing Our World” by the Utne Reader, Dave Zirin is the author of ten books on the intersection of sports and politics. He also writes on this subject for the Nation magazine, their first sports writer in 150 years of existence. Zirin is also the host of the “Edge of Sports Podcast” and “The Collision with Etan Thomas and Dave Zirin” on WPFW in Washington DC.